Download SPUKES resource files here. Looking for older songbooks ? Archived resources have been moved to their own page here. A very large collection of chord tabs for ukulele, and other instruments. 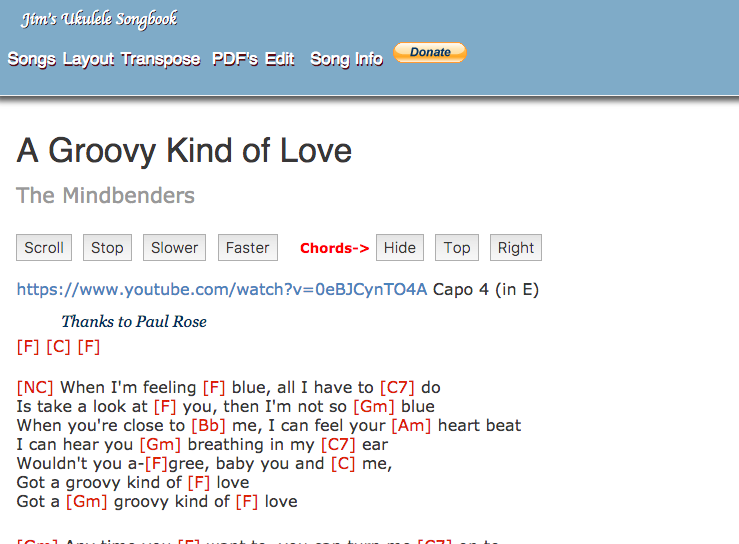 Not only does this site have hundreds of songs, all with ukulele chords, you can also transpose them into a different keys if you find it too high or low, or difficult to play. Find finger positions for just about any chord you could ever want to play. A neat interactive graphic also shows you all of the different positions for that chord.